($19.95 Retail). Help prevent sunburn with Babo Botanicals Clear Zinc SPF 30 sunscreen. 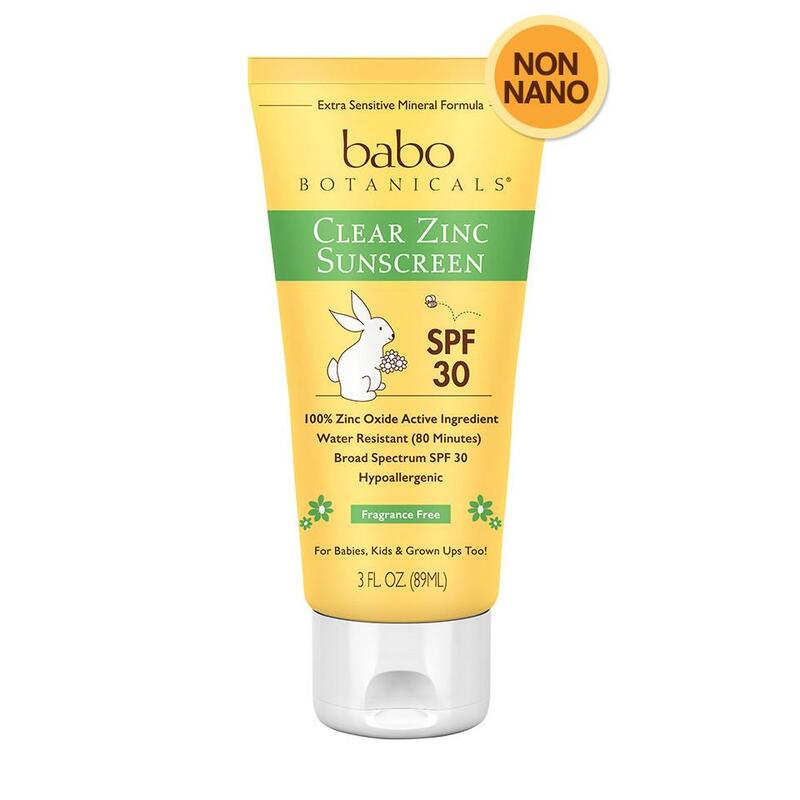 Babo's formula is non-nano, contains high UVB/UVA protection and, as always, is all natural and kid-safe.Contains 19.0% Zinc, the most effective and safest sunscreen ingredient, and skin-soothing certified organic oils. This hypo-allergenic sunscreen is non-greasy and doesn't run in eyes.